Former Baltimore Orioles slugger Eddie Murray. Baseball Hall-of-Famer Eddie Murray was charged with insider trading Friday by the Securities and Exchange Commission. The former Baltimore Orioles star was accused of trading on tips from former teammate Doug DeCinces, who agreed to a settlement with the agency last year. DeCinces allegedly traded on and passed information about Abbott Laboratories' (ABT) 2009 acquisition of Advanced Medical Optics after learning about it from his neighbor, company CEO James Mazzo. "It is truly disappointing when role models, particularly those who have achieved so much in their professional careers, give in to the temptation of easy money," Daniel Hawke, director of the SEC's Philadelphia regional office, said in a statement. Murray has agreed to settle the charges without admitting or denying the allegations, repaying more than $235,000 in alleged illegal profits along with interest and a $117,657 penalty, the statement said. "Mr. Murray, who is a decent man of principle, has settled this to put the matter to an end and get on with his life," his lawyer, Michael Proctor, said Friday. "Eddie Murray is admitting no wrongdoing at all in this matter. The settlement agreement itself states that fact." The SEC is also pursuing charges against Mazzo and David Parker, a Utah businessman who was also allegedly tipped off by DeCinces. Mazzo's lawyer, Richard Marmaro, said his client "flatly and unequivocally denies the SEC's allegations." "Mr. Mazzo has a spotless reputation for professionalism, integrity, and service to his community, built up over a career of 30 years," Marmaro said. "The notion that he would put all that at risk to give a single friend inside information is absurd." An attorney for Parker did not immediately respond to a request for comment. 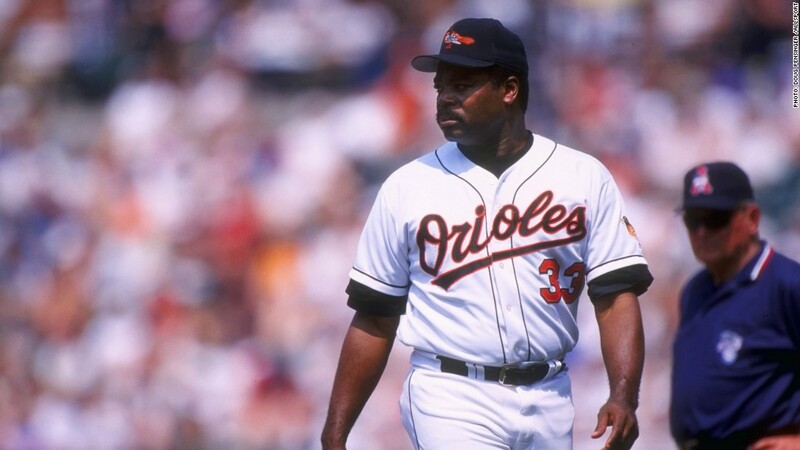 Murray starred for the Orioles from 1977 to 1988, and returned to the team in 1996. He also did stints with the Los Angeles Dodgers, Anaheim Angels, New York Mets and Cleveland Indians, compiling 504 home runs and 3,255 hits before retiring following the 1997 season. The news comes just one day after the SEC announced charges against former University of Georgia football coach Jim Donnan, accusing the College Football Hall-of-Famer of running an $80 million Ponzi scheme. In December, the agency charged former Notre Dame football player Daniel Ruettiger, the basis for the inspirational sports movie "Rudy," with participating in an illegal "pump-and-dump" scheme to inflate the stock value of his sports-drink company. Ruettiger agreed to settle the case without admitting or denying the allegations, paying a $382,866 penalty.